If you're a developer, or you're learning to code, Dash is a highly useful application worth taking a look at. It gives you instant access to 150+ documentation packages for languages, libraries, frameworks and code snippets, saving you time in searching for information. Not only that, Dash also has one of the coolest Alfred integrations we've ever seen! Unlike most workflows, which you download and install from an external source, the Dash workflow is conveniently bundled into the app for you. To get started, launch Dash's preferences to the Integration tab and click on the Alfred bowler hat. You'll see your Alfred preferences launch, and you'll be asked whether you want to use the Dash workflow. Now comes the mind-blowingly cool part; Keep Dash running in the background, and pop up Alfred. Type "dash" followed by a search term relevant to the documentation sets you're using in Dash and you'll see Dash update itself blisteringly fast based on what you typed into Alfred! 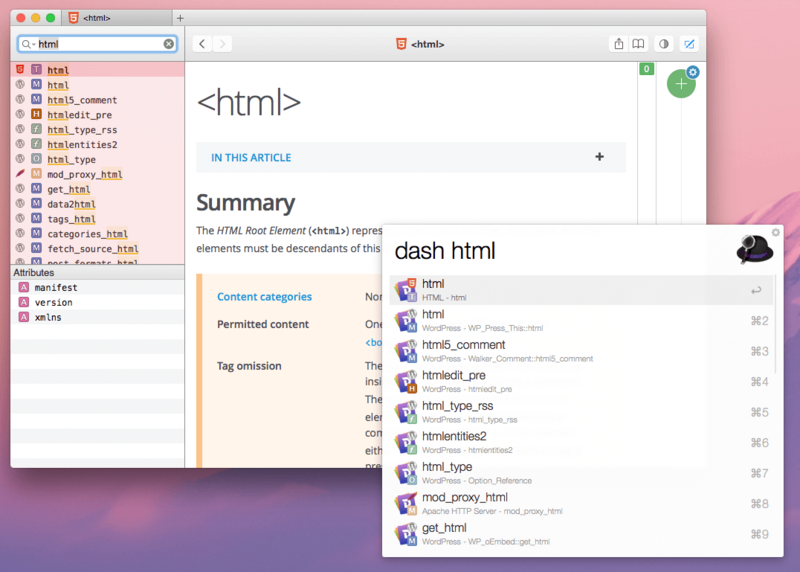 Take a look at Dash for yourself, and work like lightning with your documentation.